It will go down as a milestone in Nigeria's history, the moment when its economy achieves global scale. For months statisticians have been working to recalculate Nigeria's gross domestic product, an exercise which is likely to dramatically increase the size of its economy. Given Nigeria's vast and rapidly growing population, it cannot fail to demand an ever greater share of the global investor's attention. Countries typically 'rebase' their GDP statistics every five years, using new information from household and other surveys to shed light on neglected or under-reported sectors that contribute to economic activity. In Nigeria's case, GDP statistics have not been rebased since 1990. The impact of dramatic growth in telecoms, banking and the Nollywood film industry may have been downplayed. 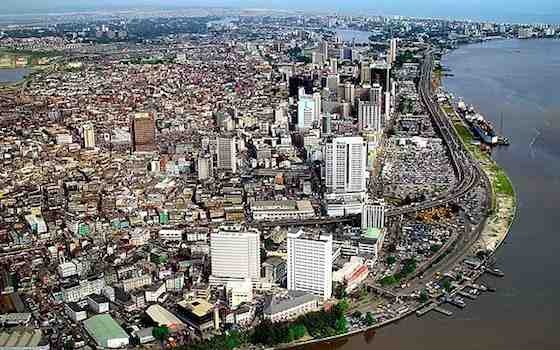 Estimates of the likely upward revision to Nigeria's GDP run from 20 per cent to 60 per cent. As a result of the rebasing, some suggest that as early as this year Nigeria's economy may emerge as the largest in sub-Saharan Africa. What we tend to think of as a $290 billion economy, the argument goes, may in fact be closer to $400 billion -- a bit larger than South Africa's and substantially bigger than Hong Kong's. Even before the release of rebased GDP statistics, Nigeria has been touted -- alongside Mexico, Indonesia and Turkey -- as one of the MINTs, the emerging (and in Nigeria's case 'frontier') economies selected by Jim O'Neill, the former Goldman Sachs chief economist. Successors to the BRICs economies (Brazil, Russia, India, China), the MINTs ostensibly represent the next generation of developing economies that will achieve great importance. These countries have demographics and geography in their favour, particularly proximity to large, established economies to trade with. In Nigeria's case, the emphasis is more demographic. Although Nigeria is the only one of the MINTs to enjoy a current account surplus, there are no big economies nearby. For the foreseeable future, it will remain by far the largest economy in West Africa. Exports are dominated by oil, destined mainly for trading partners that are further away. Beyond oil, Nigeria does not export much. Its productive capacity -- whether of food, refined fuel, electricity or other items for which it is reliant on imports -- cannot meet the needs of its own population, let alone other trading partners. While reforms in key sectors such as agriculture and power should result in gradual change, Nigeria will not benefit from a big export-led surge in production, as other emerging economies may have done. However, when it comes to demographic growth, Nigeria outpaces most. Already the world's seventh most populous economy, UN projections suggest that it will be the fourth most populous by 2035, after India, China and the United States. On current projections, as early as 2055, it will rise to third place, overtaking the US. Nigeria, like most sub-Saharan economies, has not experienced the same drop in fertility seen in Europe, Latin America and most of Asia, where the birth rate has fallen sharply. In Nigeria, birth rates remain high and it has a very young population. As more of this population reaches working age, Nigeria should experience a boost to growth. Even given the challenges of job creation, consumption should rise, offering investors higher returns on investment compared to countries with older demographic profiles. The investment arguments in favour of Nigeria appear compelling: so many people, so much opportunity, and its economy getting bigger still. Things are not so clear-cut, however. First, there is the accuracy of rebasing expectations. Ghana's experience rebasing its GDP in 2010 for the first time since 1993 and 'discovering' an economy that was 60 per cent larger than previously thought -- has done much to shape expectations. After all, Nigeria's GDP rebasing has been delayed even longer. But Ghana is not Nigeria. Its economic structure is different. Its exports are more diversified, and while there are some similarities relating to the informal sector of the economy, Ghana's economic and political stabilization started earlier. There is no reason why one country's experience should mirror exactly that of another. Second, oil prices play a big role in determining estimates of Nigerian GDP, and prices may be volatile. Windfall oil earnings are frequently shared between the three tiers of government, so Nigeria has little incentive to hedge against oil price volatility, a practice used by some oil exporters to smooth out their revenues that would potentially reduce the scale of the windfall. The overall result is that Nigeria enjoys a bigger windfall when prices are high, but is susceptible to any fall. Growth in Nigeria's non-oil sector has outpaced growth in its oil sector for some time. Even so, the valuation that we currently place on Nigerian GDP is already substantially influenced -- some would say 'inflated' -- by the current valuation of oil. If global oil prices fall, we would have to change our thinking about the size of Nigeria's GDP. Since its transition to civilian rule in 1999, Nigeria has seen its longest uninterrupted period of growth in post-independence history. With the exception of a brief period in 2008/09, most of these years were accompanied by robust gains in global oil prices. Since 2011 however, oil prices have largely flatlined. Anecdotally, this coincided with more subdued growth in Nigerian corporate earnings, although the effect is difficult to gauge fully from headline GDP statistics. Examining a range of micro-level indicators, there is little evidence that Nigeria's economy might be as significant as South Africa's, even given its population size, three times as large as South Africa's. While South Africa's financial markets and its banking sector are easily on par with some developed markets, Nigeria's financially developing status means that it does particularly badly on these metrics. This also holds true for revenue collection. South Africa's tax take compares favourably with developed markets -- with a revenue-to-GDP ratio of 28 to 29 per cent. Nigeria, by contrast, is overly-dependent on oil, which contributes more than 70 per cent of consolidated government revenue. If oil is taken out of the equation, Nigeria's revenue-to-GDP ratio, normally around 26 per cent of pre-rebased GDP, falls to around 6 to 7 per cent. If Nigeria's GDP is rebased, its non-oil revenue collection ratio -- what it manages to collect in taxes -- may fall to less than 4 per cent of GDP, much lower than most regional peers. For developing countries, it isn't so much the size of current GDP, as the potential of the economy to continue to grow that should matter. Here, Nigeria's metrics may be problematic, and the rebasing of GDP is likely to draw greater scrutiny to what is missing. The over-dependence on oil revenue, despite the supposedly declining role of oil in the economy, suggests that the government enjoys a degree of autonomy from tax-raising that may weaken political accountability. One of the early achievements of post-apartheid South Africa was success in revenue collection, which stalled only around the global crisis. In Nigeria, despite the shift to more accountable forms of governance after 1999, little progress has been made in mobilizing significantly more non-oil revenue -- at least as measured against GDP. Worse still, despite significantly weak infrastructure, which will require years of public and private sector investment to remedy, Nigeria has accumulated little long-term oil savings. In the event of an oil-revenue shock, there is no financial cushion and capital expenditure may have to be cut back. Bigger is not necessarily better. Post-rebasing, Nigeria's average per capita income, currently estimated by the International Monetary Fund at $1,725 a year, is likely to see a substantial lift. But the proportion of Nigerians who live on a dollar a day, estimated at 63 per cent in 2011, is unlikely to change very much. In effect, GDP rebasing will reveal an even deeper problem of income inequality. Despite a decade of annual growth averaging 7 per cent in real terms -- the kind of growth it takes for an economy to double in size every ten years -- survey evidence suggests that Nigerian poverty, whether measured in relative, absolute or even subjective terms, has increased. Subjective poverty -- the number of survey respondents identifying themselves as poor -- increased to 93.9 per cent nationally in 2010, from 75.5 per cent in 2004, according to National Bureau of Statistics data. The rebasing of GDP is unlikely to change this. In highlighting even greater inequality it may reveal why so many Nigerians feel poor, and the attendant risk to political stability. The fact that Nigeria's middle class is growing is not refuted by these statistics. Important gains have been made, but most likely only within certain pockets of the economy. The challenge for Nigeria, both pre and post-rebasing, is to ensure that conditions that support economic transformation, not just headline growth, are in place. Growth needs to be made meaningful and prosperity needs to be shared more evenly. Transparency and fiscal accountability will need to be enhanced, and greater investment -- more long-term, and in employment-generating sectors -- remains a key requirement. But as the country moves closer to elections next year, caught up in the hype of being a MINT, with the rebasing of GDP just one event in a rushed political timetable, the risk is Nigeria will miss an opportunity to take stock and look more closely at the deeper messages behind the headlines.